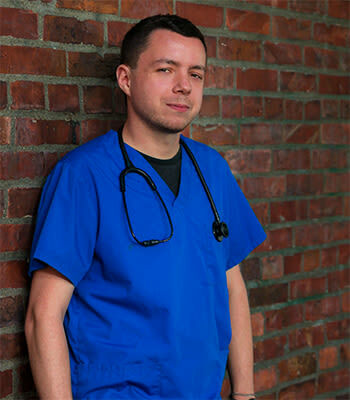 Our staff of experienced and expert veterinarian doctors and skilled vet staff are ready when your pet needs us. Call or contact us today to learn more. Wendy joined Value Pet Clinic Kent in 2010. As our Hospital Manager, Wendy lives to make everyone’s life easier, from our clients to our staff. Wendy has had a passion for animals her entire life and always dreamed of working with animals. She especially loves dogs and horses. 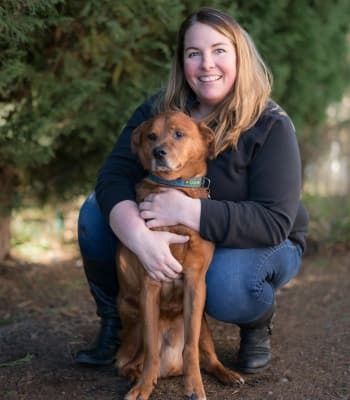 In her free time, Wendy enjoys being outdoors, camping, crafting and spending time with her family which, in addition to her husband and son, include 2 senior dogs: Riley (pictured) a mixed breed and Dozer an English Bulldog. 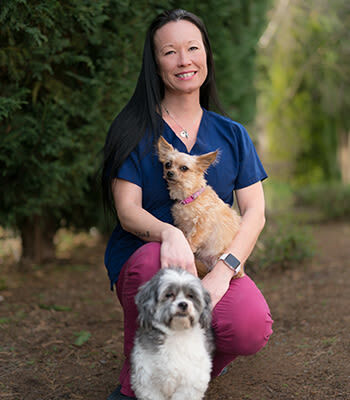 We are so lucky to have Wendy as our Value Pet Clinic team leader. 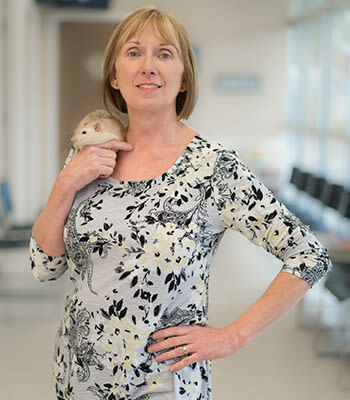 Diane became a veterinary technician as a second career later in life. Value Pet Clinic - Kent has been her home since 2010. Caring for your pets during their hospital visit is a huge responsibility that she takes seriously. She shares her life with her husband, Brett, 2 dogs, Olive & Sherman, along with 4 rat brothers, Oscar, Elmo, Bert & Ernie. 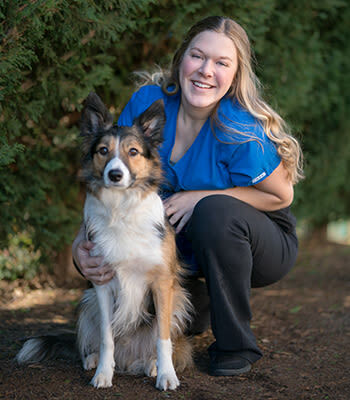 Emma is a Licensed Veterinary Technician at Value Pet Clinic - Kent. 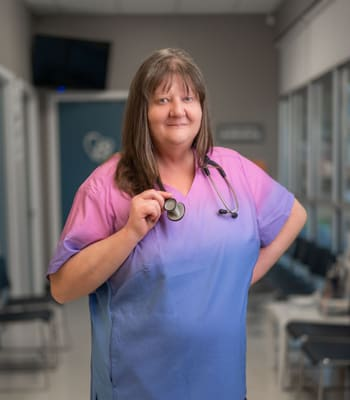 She enjoys working with the talented staff here and her favorite patients are pit bulls and mastiffs. 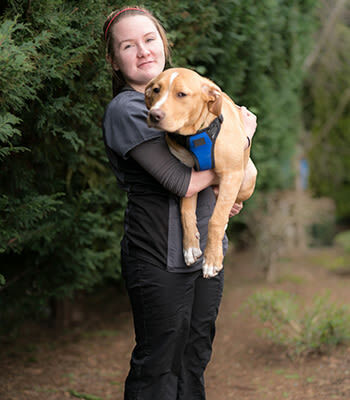 Outside of the clinic, Emma likes to go camping and spend time with her pit mix, Jax. Amber is a veterinary assistant but you can often find her working up front as a receptionist as well. She always knew from a young age she wanted to work with animals and started officially working in the veterinary field in 2005. Amber lives on a Mini Farm with her husband and two boys, as well as her 3 dogs (2 Pugs and an Australian Shepherd) 2 horses, 4 chickens, and her cat named Batman. On her days off she loves riding her horses, taking the kids and the dogs to the park, or just doing the daily chores around the farm. Crystal is one of our newer members to the field of veterinary medicine. She joined Value Pet Clinic - Kent at the end of 2017. She is eager to learn and strives to provide a positive experience for all our patients and their human counterparts. From a military family, she has lived in a multitude of places, including overseas. In her free time she enjoys reading and hanging out with her cats and ferret. Haley is one of our Receptionists who not only loves to build relationships with our clients, but especially loves meeting and greeting our patients. With multiple pets of her own, she knows exactly what it's like to love our fur babies as part of the family. In her free time she enjoys hiking with her two Border Collies, Max and Maverick. 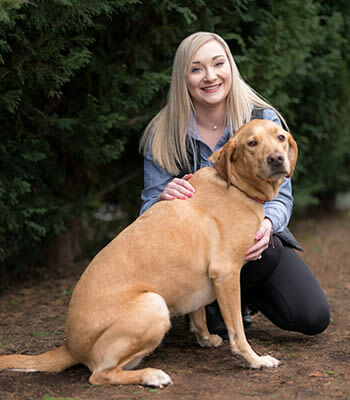 Jennifer is our Lead Receptionist here at Value Pet Clinic, and started here in 2013. She loves working with the clients and their beloved family members but takes a special interest in the importance of dental cleanings. She has been in this field since 2004 and never stops learning. In her free time she loves to spend time with her husband, kids and all of her fur children. Kayla is one of our spectacular receptionists here at Value Pet Clinic - Kent. She helps out with checking in patients and maintaining warmth and kindness to the clients by making everyone feel at home! On Kayla's off time she enjoys horseback riding on Lake Tapps at the Hidden Farm. She also adores long drives with her amazing fiancé, they love exploring! Kayla owns a Yellow Labrador named Kimber who enjoys going to Grandview dog park in Kent, where you can find them playing ball. Tina is one of the friendly faces you will see when you first walk into our clinic. 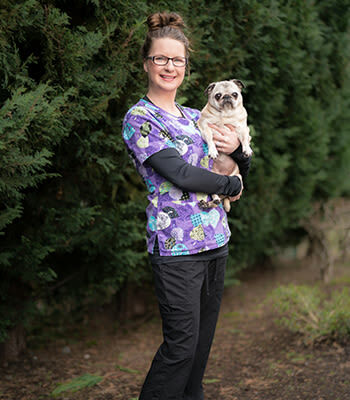 She joined Value Pet Clinic - Kent in 2013 as a receptionist, but has worked for many years in the vet field. She is very thorough and knowledgeable in everything she does here. She loves greeting all of the pets that come into our clinic, but is especially fond of all of our Boxer friends. In her spare time she loves spending time with her family and binge watching sappy shows on Netflix. 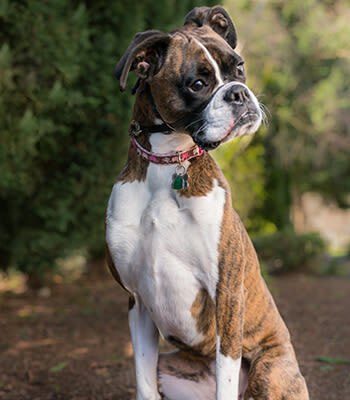 Tina shares her home with her rambunctious, snuggle-bug Boxer, Lexi, and her senior cat, Trouble. 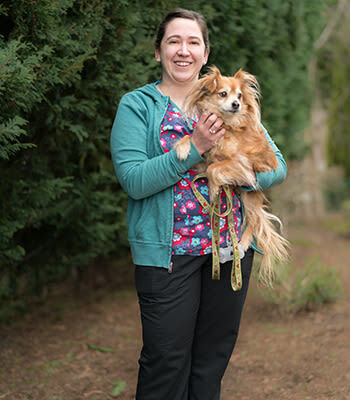 Cyndi joined Value Pet Clinic - Kent in 2015 as a veterinary assistant and was quickly promoted to the lead position. She has worked in the veterinary field since 2006. She loves the variety and pace of a walk-in clinic, and especially enjoys spending time with our clients. She is currently attending school to become a licensed veterinary technician. In her spare time, Cyndi loves to run and regularly competes in marathons. She shares her home with her husband, daughter, 2 dogs: Nike and Brooks and cat, Lucky. 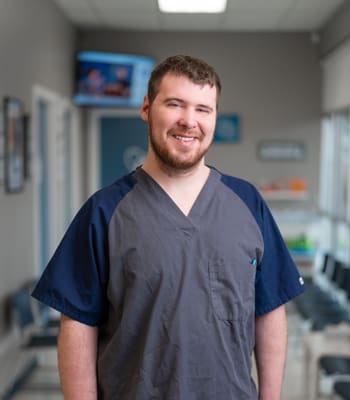 Robby joined Value Pet Clinic - Kent in 2015 as a Veterinary Assistant. He just recently finished veterinary technician school and will be taking his test to become a licensed technician very soon. Robby is very patient and kind with the animals and does a great job of gaining their trust. One of Robby’s other passions is photography and can regularly be seen at comic conventions. Robby shares his home with his Yorkie named Wicket and his Labrador named Bella, plus his cat, Topper. 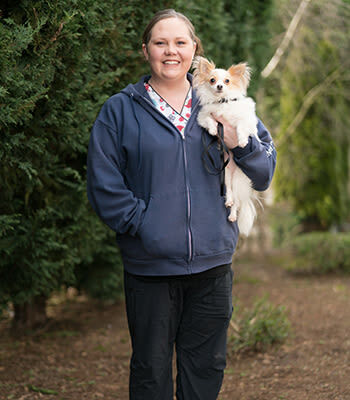 Sarah joined Value Pet Clinic - Kent in 2014 as a veterinary assistant. She enjoys doing blood work and getting to know our clients and patients. Sarah loves all animals, but her kindness and compassion spreads further than just the dogs and cats that we see to encompass their human counterparts as well. She is one of the nicest people you would ever want to meet and is constantly putting others before herself. 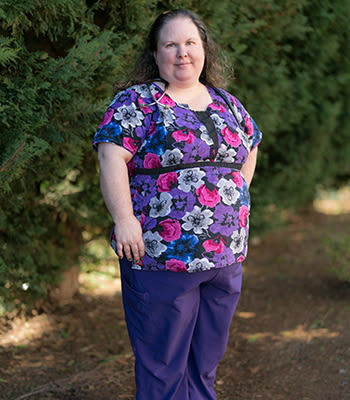 In her spare time Sarah enjoys pet sitting, crafting, baking and spending time with her family. She shares her home with her cat Griffon.